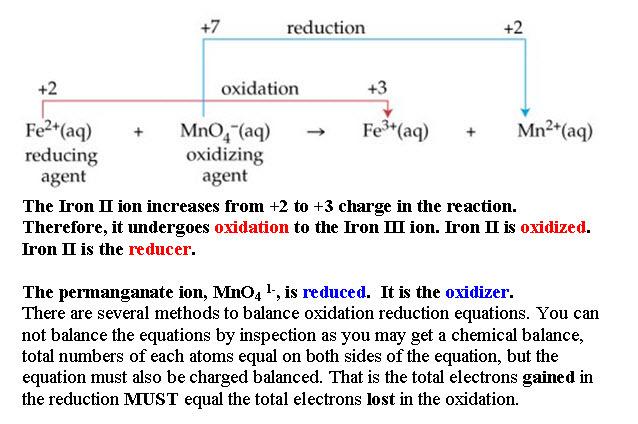 he Electron transfer Method balances the Electrons first by assigning Oxidation Numbers to the element undergoing oxidation or Reduction, then the remaining atoms are balanced by inspection. No half equations are written. The electron change change is traditionally shown by drawing the lines and arrows to show change in oxidation state.